Cole Beasley made his sensational catch in the fourth quarter. The NFL season is just one weekend old ― but we already have a candidate for catch of the year. “So far, that’s the top catch of the year,” fellow Cowboys receiver Dez Bryant told SportsDay. 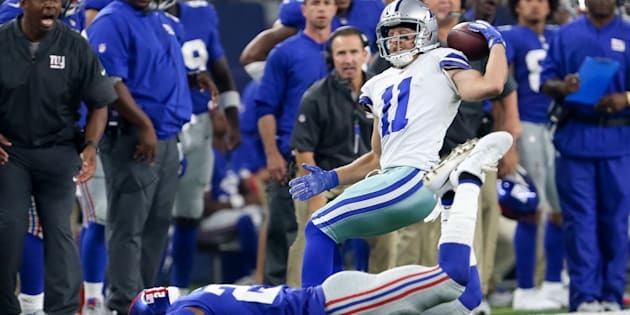 Beasley’s catch was reminiscent of the dramatic receptions made by rival receiver Odell Beckham Jr., the Giants’ star who did not play in Sunday night’s game because of an injury. Dallas beat New York, 19-3.